– Admitted to the Brussels Bar in 1974 as first foreign citizen being registered as Belgian barrister. 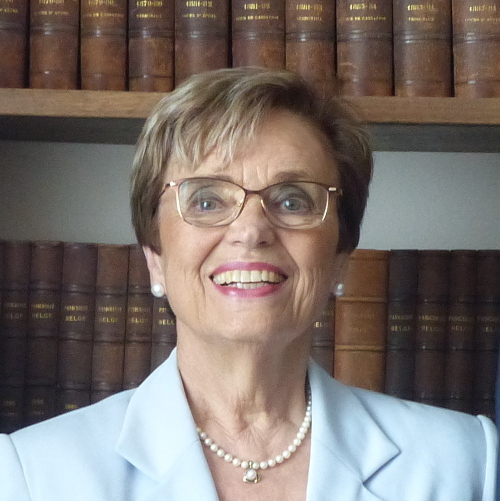 – Thanks to her privileged relationship with the international legal profession, and to her fluency in several European languages, she has been able to develop a genuinely European practice, featuring a network of professional contacts extending to many major cities of the European Union and the Unites States. – Her clients include important European and international names in various sectors, such as: commercial, industrial and transport industry etc. – She has also many years experience as an arbitrator in international arbitration cases. and was president of the arbitration Institue of the Brussels Chamber of Commerce. Dr. Hoffmann is active in numerous professional and paraprofessional associations and is a member of the board of several Chambers of Commerce Dr. Hoffmann is cofounder and member of the Board of the European Association of Lawyers of which she has been the president from 2010 to 2014. She is also author of numerous publications and speaker in Belgium and abroad in the fields of Business-, Economic- and European law. “International Business and Investment Guide”, ed. Denis Campbell, Salzburg, 1998. “Personalrecht in Europa”, Haufe Verlag, 2004.